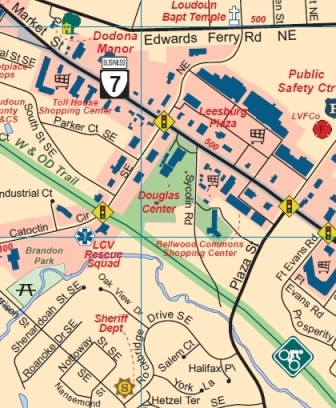 See for yourself, view our full size Leesburg map. Available in both PDF and paper format. On the fully functional PDF version, zoom in for any level of detail, search for streets and places by name, and access business websites directly from their map locations. If you run a local business, put yourself on the map. Literally. Become a preferred business, and your business logo will appear at your location in both the paper and PDF format. In addition, we'll provide an active link to your website from the PDF. Contact us for further information.